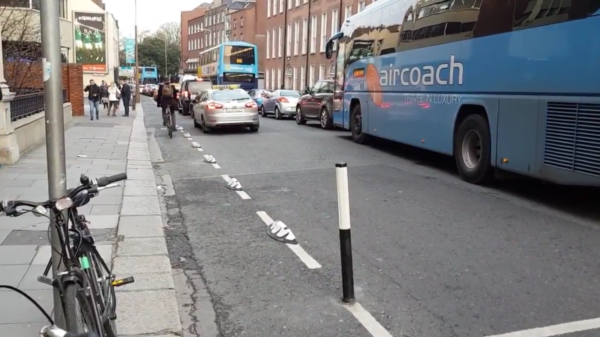 These new orcas put in place by Dublin City Council to protect cycle lanes are very welcome. It would be great to see more of them. 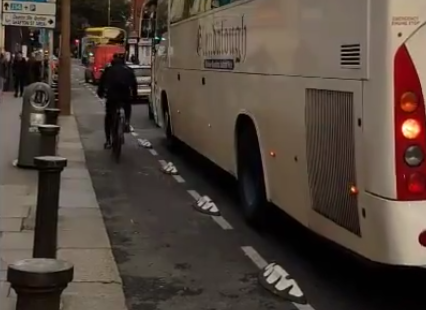 We’ve seen a large number of protests by the I Bike Dublin group, and lobbying by Dublin Cycling Campaign, in recent years aimed at improving cycling lanes available in the capital. And while much progress still needs to be made, Dublin City Council looks like it’s starting to get the message. 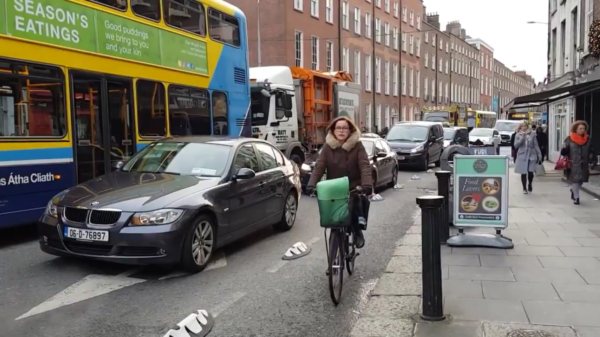 The council has begun using orcas; the first set in use on Leeson St can be seen in the clip below. They can be made of plastic or steel and are fixed into the tarmac clearly marking out and segregating a cycle lane. Drivers could still encroach onto a bike lane marked with orcas, but not easily. And they’ll feel a thump if the do as driving over them would not be a comfortable experience. They are well spaced out, meaning cyclists can leave the cycle lane for whatever reason. And anyone crossing the street in a wheelchair or with a child in a pram or buggy won’t be impeded. These are an alternative to the kind of fully segregated cycle lane that has been constructed outside the Bank of Ireland leading from Dame St to Westmoreland St. Furthermore, they are also much cheaper and faster to insert. While they are new to Dublin, they’ve been in use in other countries for many years. In Dublin the first set orcas has been placed at a tricky spot where drivers have often encroached on the cycle lane on Leeson St. The image below showing the large bus kept out of the cycle lane underlines the effect of the orcas. Let’s hope we see plenty more around the country, and other facilities that protect cycle lanes. They may even reduce parking on bike lanes. The orcas on Leeson St. Dublin City Council has just rolled them out.